Aperture Science is pleased to announce that the Portal Gun you know and love now comes in an easy-to-carry keychain version! This handy device measures roughly three inches long and is made of sturdy vinyl. While it does not light up or play any sounds, this petite Portal Gun will hold your keys without any risk of teleporting them into outer space. 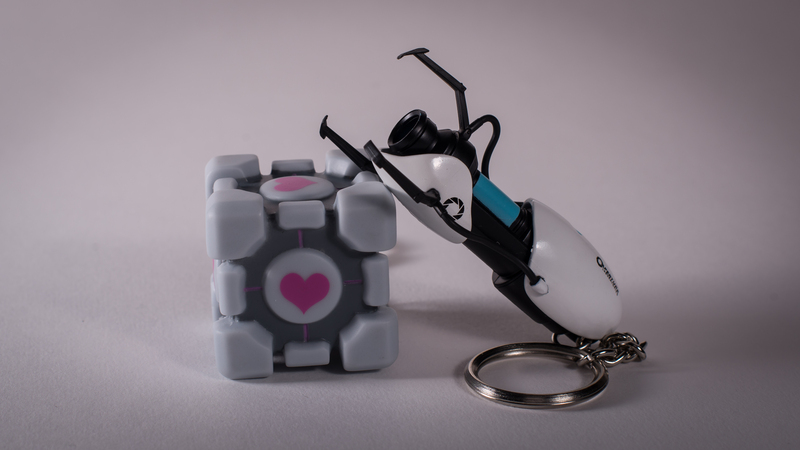 Alternatively, the Weighted Companion Cube will hold your keys with unbridled (and muted) affection. As with any Weighted Companion Cube, this item does not talk. In the event that it does talk the U-Pick Crew asks you to ignore its advice. Now you can wear what you must, because you can! 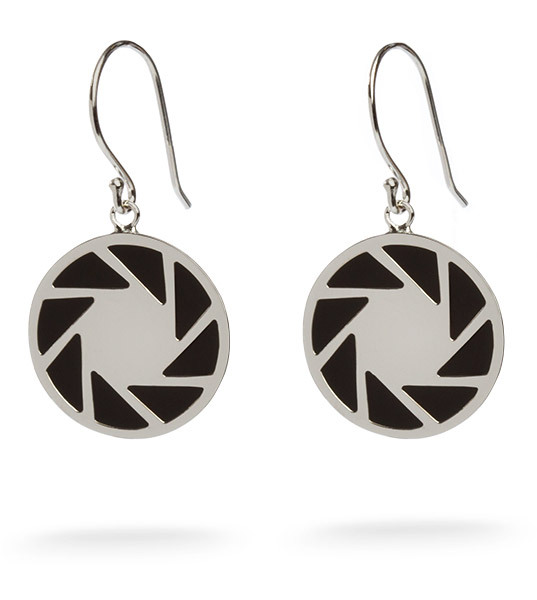 These Aperture Science earrings are the ideal compliment to any outfit. Their understated elegance means that only those who have survived testing will know the true horror joy that comes from rigorous scientific research. Plus, they come in a delightful Aperture Laboratories box. After finally escaping from Aperture Sciences Underground Prison Testing Facilities, Chell is delighted to make her way into your home as an action figure. Just listen to her enthusiasm! This fantastic figurine stands seven inches tall on an included black display base. 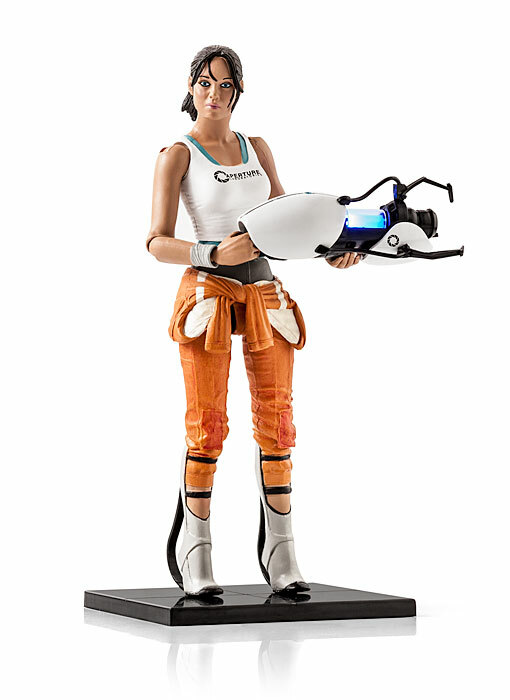 Chell has over 20 points of articulation and comes with a Portal Gun that lights up with an inviting blue glow. 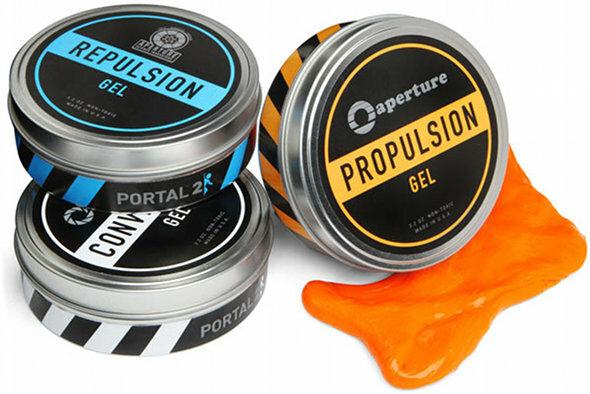 Now you can have the fun of Aperture Science Interactive Gels in your own home! With the blue Repulsion Gel, the orange Propulsion Gel, and the white Conversion Gel, you’ll be able to jump higher, run faster, and allow any surface to accept a portal. Please note that these products are still in the beta phase, so all the gels can really do is stretch, bounce, shatter, and lift comics. Still, these are the most advanced mystery compounds on the market today! The U-Pick Crew is very grateful to our very own NightHawk and Stephonee for their donation to UPickVG 5, and we look forward to giving these rare collectibles away to one of our viewers!